We chanced upon a cafe near midtown Cebu City specializing on frozen treats such as ice cream, banana splits, sundaes, and parfaits. I'm referring to Frozen Snack Bar. The cafe is located at the Cebu Century Plaza Complex along Juana Osmeña Street in Cebu City. During one of the business meetings I held for Cebu Teambuilding Services back in the day, one was held at the Frozen Snack Bar. We ordered some light snacks while we discussed important things. We ordered a street food platter. 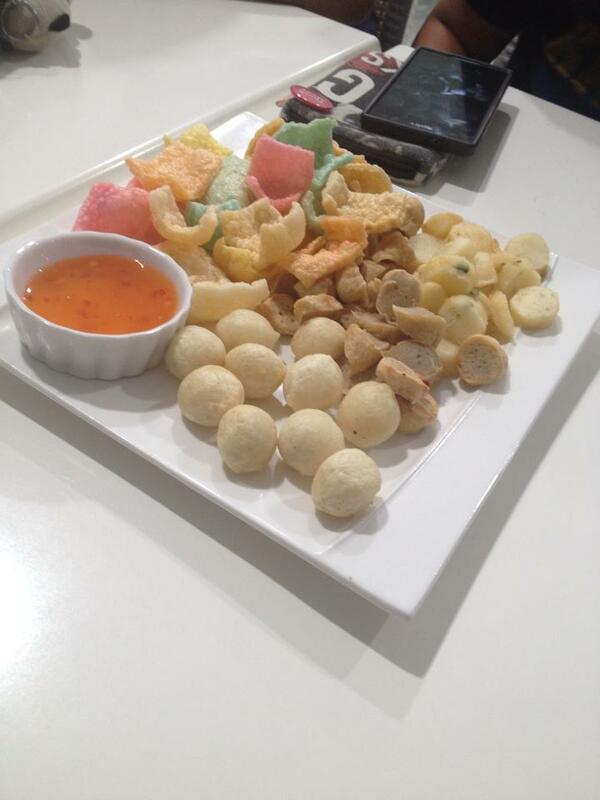 It had colored shrimp crackers, kikiam, squid rolls, and fish balls. A sweet chili sauce accompanied the platter. Nothing fancy about it. It tastes just like how we expected it. Frozen Snack Bar is basically a dessert cafe. While they do serve meals, it's the dessert items that stand out. We ordered one big dessert based on the recommendation of the hosts: the Chocolate Supreme Whopper. There were five of us. It was a real challenge to consume just one order. Chocolate lovers will really love this treat. 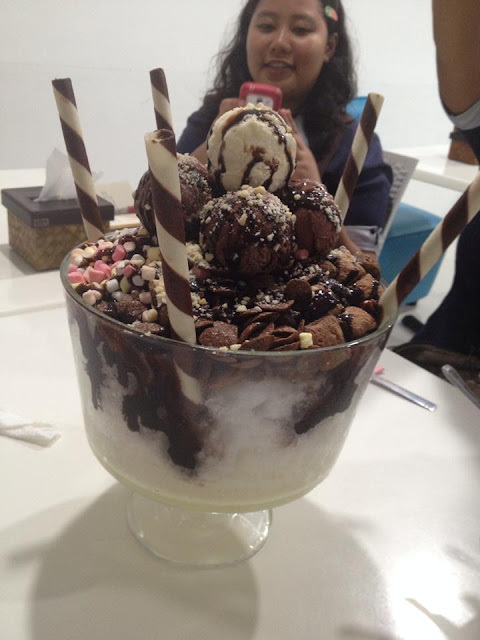 It has chocolate wafer sticks, several scoops of chocolate ice cream, chocolate puffs, chocolate cereals, and marshmallows served on a big bowl of crushed ice. Isn't that just enough chocolate to tickle your fancy? Other desserts worth mentioning are the banana splits, ice cream, and milkshakes. Frozen Snack Bar is located at the Cebu Century Plaza Complex along Juana Osmeña Street. It is right across Muvanz Pocherohan and beside the Boiling Shrimp Haus. Other establishments in the business complex include the Cebu Century Plaza Hotel and Alejandro's Crispy Pata. Have you tried the snacks at Frozen Snack Bar in Cebu City? What is your favorite item on their menu? Let us know in the comments below.